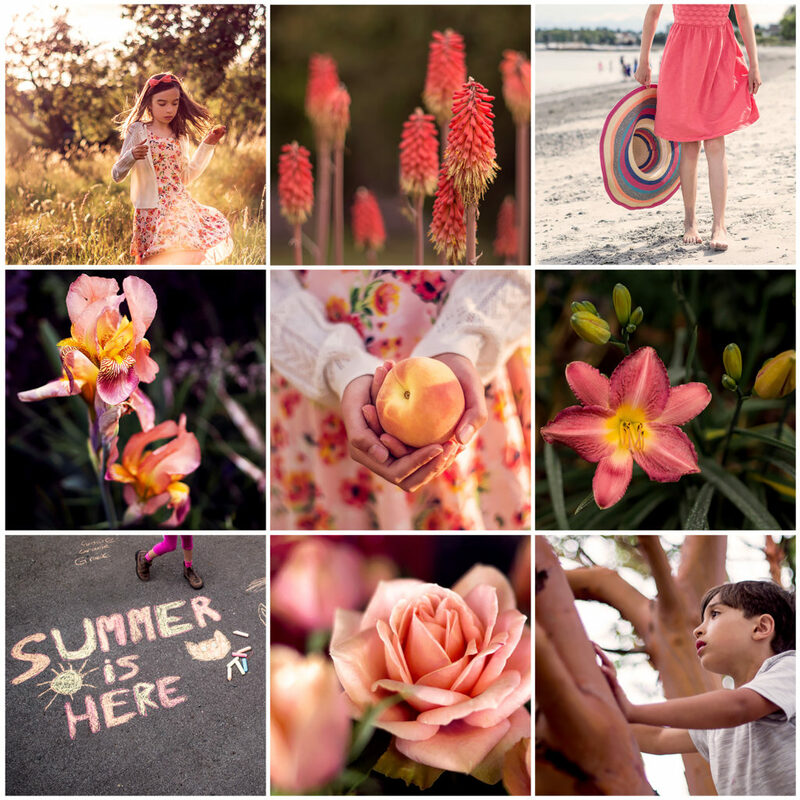 If you’ve been following my work on Instagram or Facebook this past year, you have probably seen my colourful monthly grids. Here’s a chance to learn a little more about The Color Chase Challenge! I am part of a blog loop this month, so make sure to check out the link on the bottom of this page! Back in 2017 I had the idea to make my Instagram account more consistent by deciding on colour schemes for various months and seasons. While I was working on implementing this idea, I came across some photographers I follow who were doing something called “The Color Chase Challenge.” I joined the Facebook group in August 2017 and have been chasing colours with a talented group of photographers ever since. At the beginning of the year a schedule for colours is posted and we each shoot and share as we go along. The Instagram page for the group is always a source of inspiration! Each month there’s a new colour to seek out and shoot. 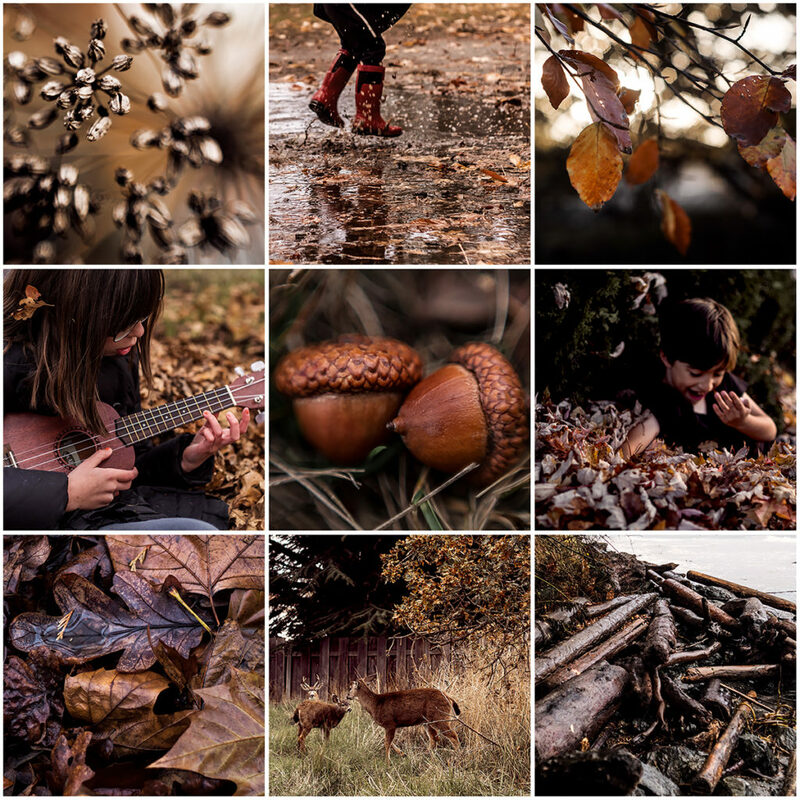 I wrap it all up at the end of the month with a collage of nine images in the chosen colour. It has become a key part of my creative process. I love how simple the project is, and how creatively open-ended. The subject matter is anything and everything — the focus is just the colour. Photographers of all skill levels are able to participate and enjoy this challenge. It’s so fun to share our photos, and I love seeing all the creative and clever ways my fellow chasers capture the colours. 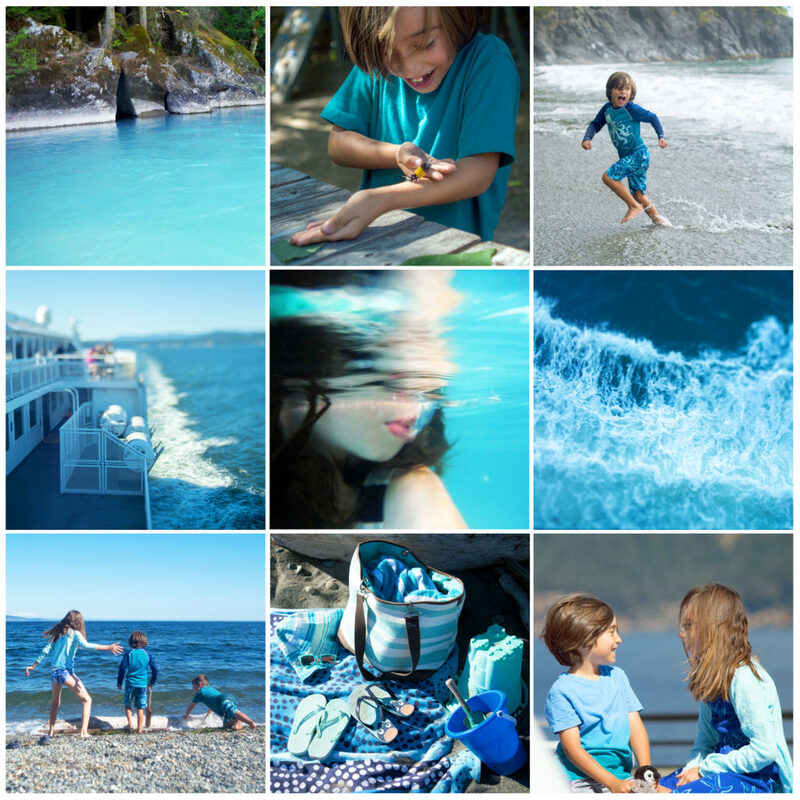 Some months are effortless, the colours are abundant and easy to find — like green for March and blue in the summer. Some colours seem like they’d be simple but turn out to be rather more challenging. Coral in June took a bit of creativity as everything around me was so green and blue at the time. Silver / Grey seemed like it wouldn’t be difficult to find, but in May I was shooting so many other colours, it was hard to focus on those neutral hues. Gold last December was a real challenge. 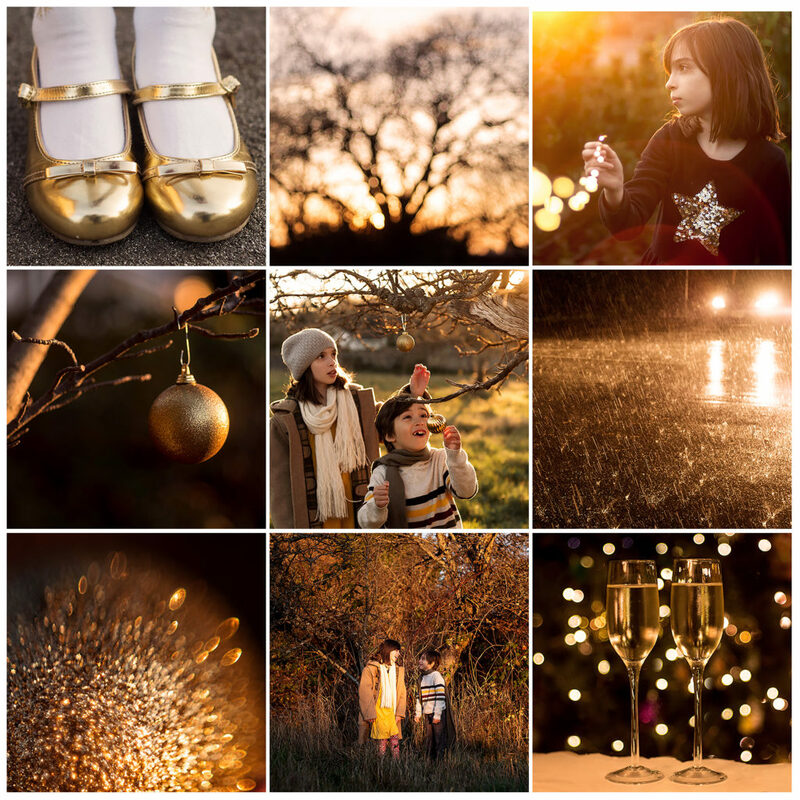 There’s really a fine distinction between gold and yellow or gold and orange when it comes to tones in photos. By far the most difficult and most educational of the challenges were White and Black. It seemed like it would be easy, if not a bit boring, to shoot black and white. The stipulation was that the images should be colour images (not conversions) of black or white subjects. So often we shoot with warm or cool white balance to get the tones we’re aiming for in skin or other subjects. What I discovered is that there are so many shades and hues of black or white in a photo. I learned to be more intentional about my white balance while shooting and editing. 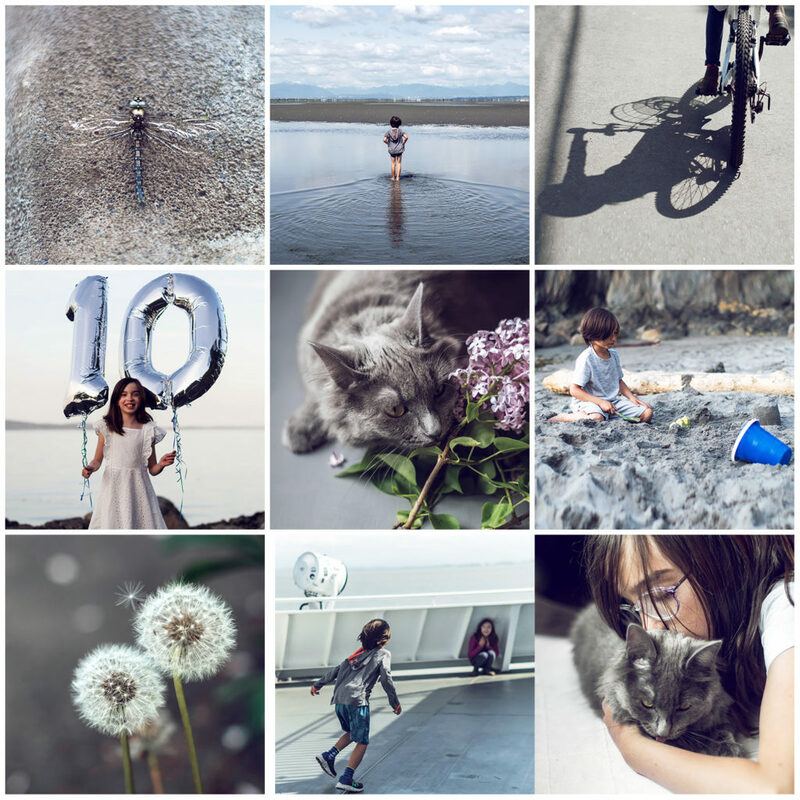 In the end, my grids were an interesting mix of cooler and warmer tones. My goal with this challenge isn’t just shooting items with the chosen colours, but to tell a colour story throughout the month. 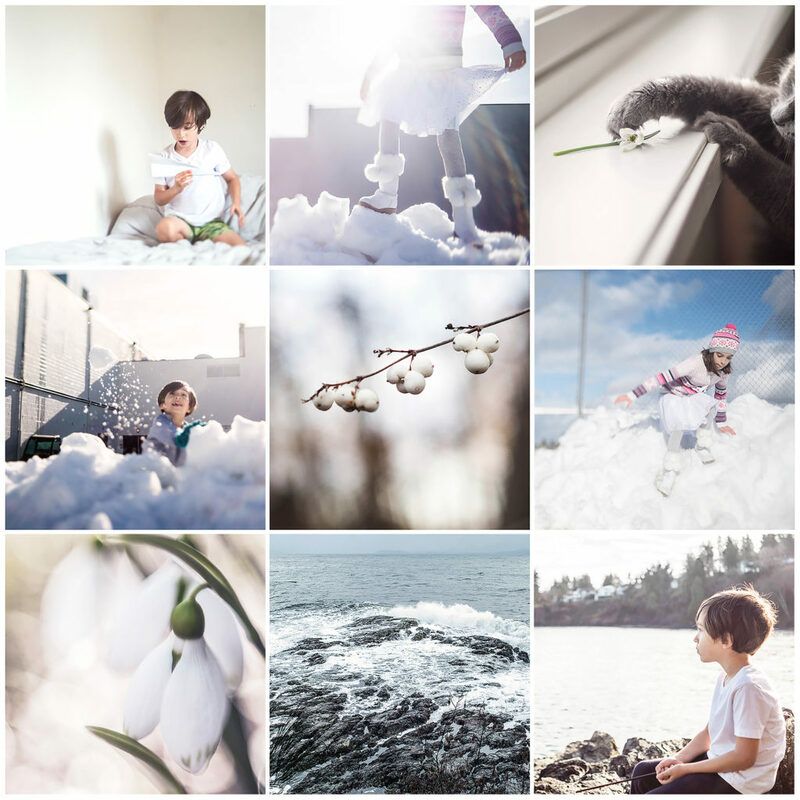 I use the challenge as a way to bring consistency and focus to my personal shoots. 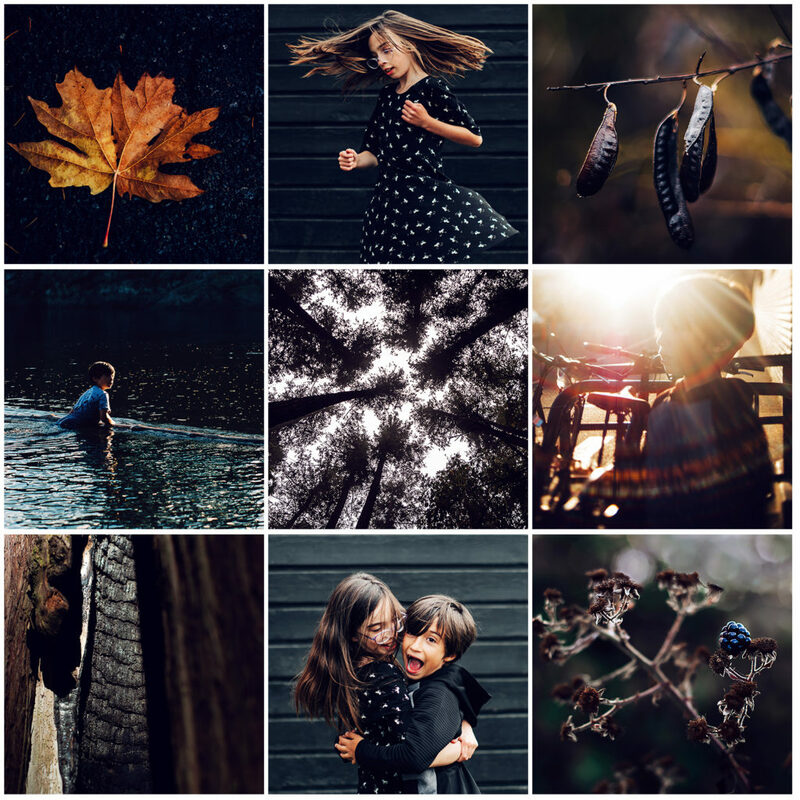 I try to take colour photos that capture the month and the season using natural elements as well as portraits of my children. I make this project more meaningful for myself by keeping my photos “on brand” with the rest of my Instagram account. I love the way this project gives me focus and structure as I shoot throughout the month. I would encourage anyone who loves colour to join the group on Facebook or follow along on Instagram and start chasing colours! It’s a great way to motivate yourself to get out and shoot and stretch your creativity! I love your beautiful use of color. 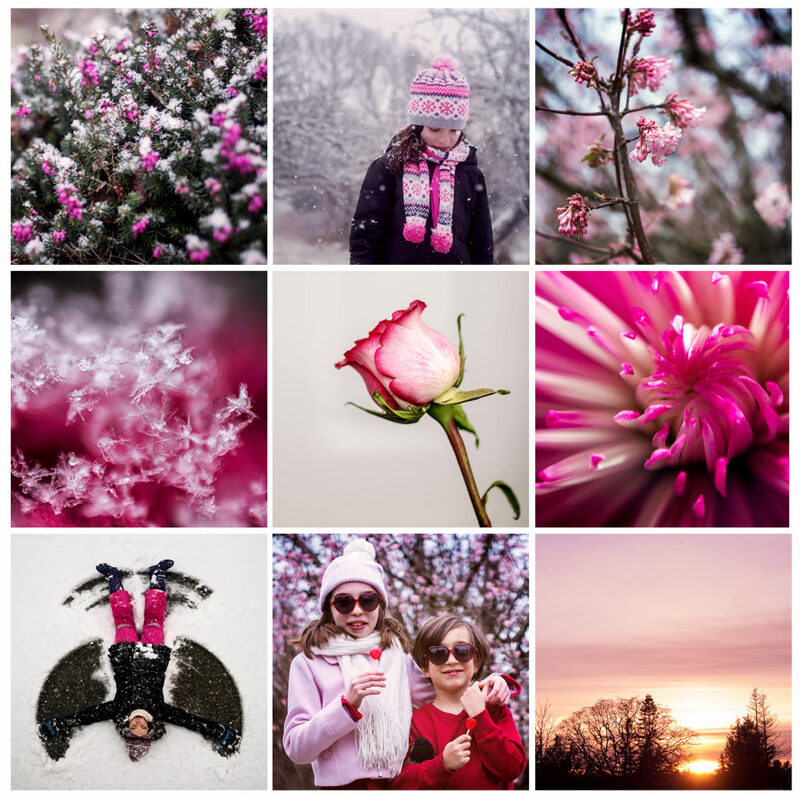 These grids are so inspiring and you have totally inspired me to do the Color Chase Challenge for 2019. Thank you! 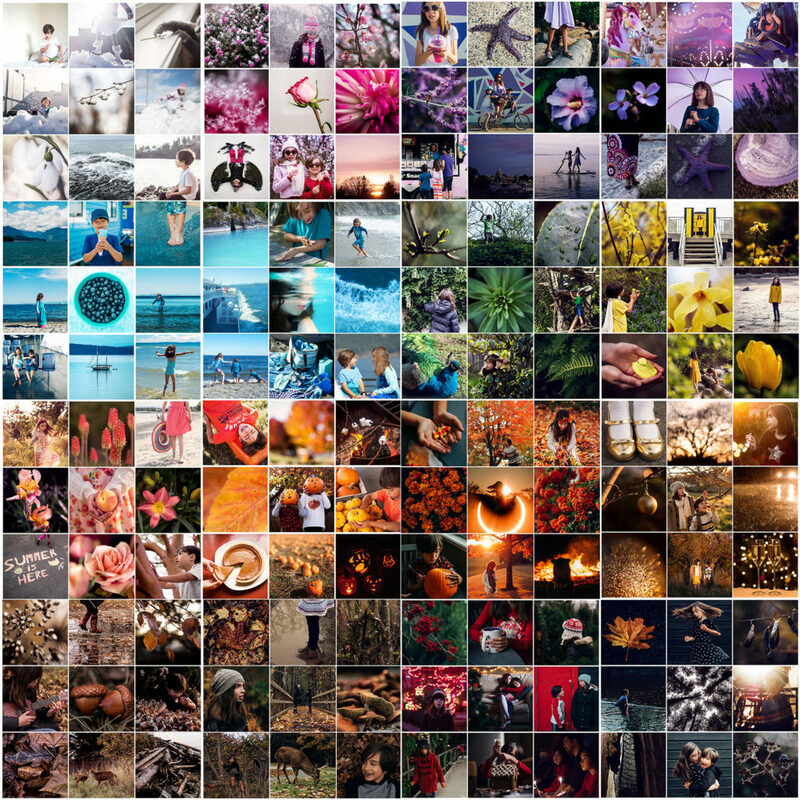 I’m so jealous of the way you have set up these color grids! I keep trying to do it but my brain doesn’t work that way! lol. Gorgeous post! Wow! I never knew color chasing was a project, and I must say, after reading your post, I am hooked on the idea! 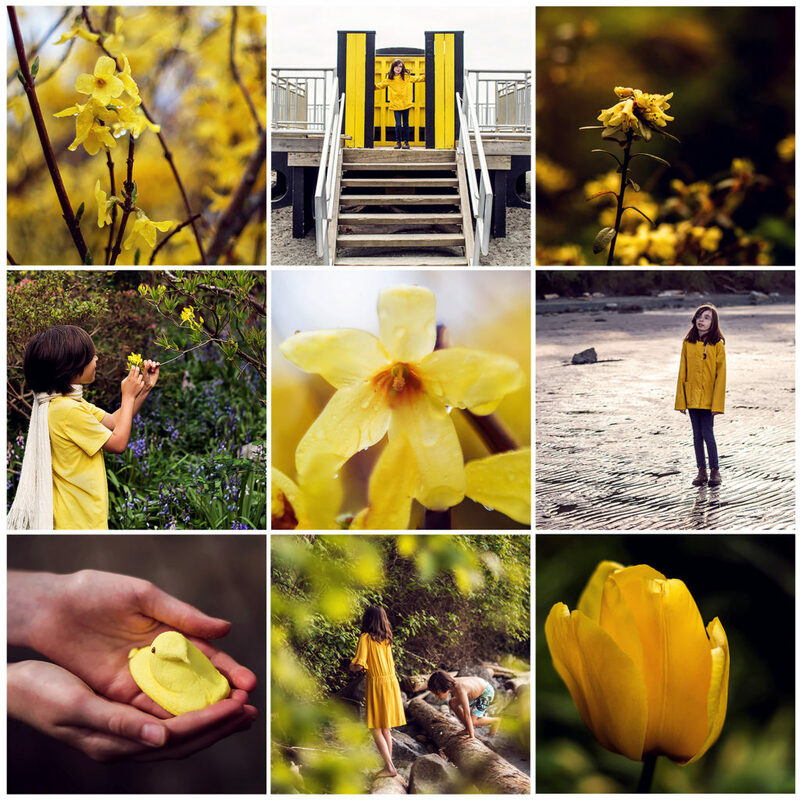 What a wonderful way to motivate oneself as a photographer to see things in a new way – always looking out for that one color and how to creatively capture it. I love this idea, and I have to try it now. Thank you for sharing! These are awesome. I’m so inspired by how you’ve interpreted the monthly colour prompt. Thinking I should try this myself! This is beautiful! Love your work and these grids.